Patanjali Patanjali Aloe Vera Gel is used for treating several skin ailments including acne, burns, wounds, and sun damage. The primary ingredient in this gel is Aloe Vera, which has been proven to possess strong healing properties. It can soothe the damaged skin and enhance the repair processes of the body thus providing relief from these conditions. The benefits of Aloe Vera Gel for the skin, the ingredients present in it, and the direction to use are discussed beneath. Permitted colors: Tartrazine Yellow, and Brilliant Blue Q.S. Preservatives and agents for fragrance Q.S. Patanjali Aloe Vera Gel is effective in the treatment and prevention of acne. Acne is a chronic skin disorder that results in the formation of eruptions of varying sizes called pimples, pustules, blackheads, and whiteheads on the face and the skin of the arms, neck and the chest. This condition usually affects the adolescents at puberty and often lasts for the duration of 6 to 8 years. Though acne eruptions tend to resolve after this period, it can have a negative effect on the appearance of the patients during their formative years. As a result, they may develop a loss of confidence and self-esteem. Patanjali Aloe Vera Gel can help to enhance the appearance of a person by clearing acne completely. It helps to get rid of blemishes, pimples, pustules, blackheads, and whiteheads. It produces an antibacterial action, thus eliminating the bacteria in the skin and controlling the infection responsible for causing pustules. It also provides nourishment to the skin and allows for the faster healing of skin lesions. This action of Patanjali Aloe Vera Gel is beneficial for preventing the formation of acne scars. It also reduces the appearance of old acne scars to some extent. The anti-acne potential of Aloe Vera has been proven during research. The study was aimed at comparing the safety and efficacy of a combination of Tretinoin and Aloe Vera gel with tretinoin and vehicle. This randomized, double-blind, 8-week clinical trial evaluated the changes in the non-inflammatory and inflammatory lesion scores and the tolerability in 60 participants suffering from acne vulgaris. Patanjali Aloe Vera Gel possesses natural hydrating properties. It nourished the skin and moisturizes it. Hence, the regular application of this gel is highly recommended for the patients having dry skin. It can also help to prevent the diseases linked to the dryness of the skin such as eczema. It prevents itching caused due to the excessive dryness and thus, prevents the flaring up of the symptoms of eczema. It makes the skin soft and supple and imparts a natural glow. Aloe Vera also produces a cohesive effect on the flaking, superficial skin cells by sticking them together. This enhances the softening effect of Aloe Vera gel on the skin. The moisturizing properties of Patanjali Aloe Vera Gel can be attributed to the presence of Mucopolysaccharides in it. Mucopolysaccharides help in trapping moisture into the deeper layer of the skin. The skin moisturizing effects of Aloe Vera have been proven during research. It was found that the polysaccharide-rich composition of this herb could improve the hydration of the skin significantly. During this study, the state of hydration of the skin following the application of Aloe Vera Gel was evaluated based on the parameters such as the water content in the stratum corneum. Patanjali Aloe Vera Gel can be used for the treatment of skin burns. It can treat the thermal and radiation burns and heal the affected part in a shorter duration of time. It works by supporting the process of epithelization and improving the rate of epithelization. This helps to reduce the healing time by ensuring faster bridging of the gap between the healthy parts of the skin. This property of Aloe Vera has been proved scientifically during research. The study involved 18 participants who had suffered second-degree burns. After debridement, the patients were treated with gauze containing either Aloe Vera Gel or Silvadene ointment. The results of this study showed that the patients treated with Aloe Vera Gel had a much lower mean healing time compared to the other group. Patanjali Aloe Vera Gel possesses skin lightening properties. It can be used to reduce the dark circles under the eyes. It whitens the affected part and restores the natural color of the skin under the eyes. Regular use of Patanjali Aloe Vera Gel can protect the skin against the harmful effect of the UV radiation in the sunlight. It also protects the skin against sun tanning. It produces a protective effect against the radiation damage by stimulating the production of an antioxidant protein known as metallothionein in the skin. Patanjali Aloe Vera Gel can be used to accelerate the healing of wounds. It is used for the faster healing of ulcers, and injuries. It is also beneficial for managing surgical wounds. It can reduce the recovery period of the patients by promoting the regeneration of the skin cells along the edges of the surgical incision. This allows the skin at the site of the incision to repair faster. It also helps to minimize the scarring at the surgical site. The wound-healing properties of Aloe Vera have been proven during clinical research. It has been found to support the production of collagen in the skin. 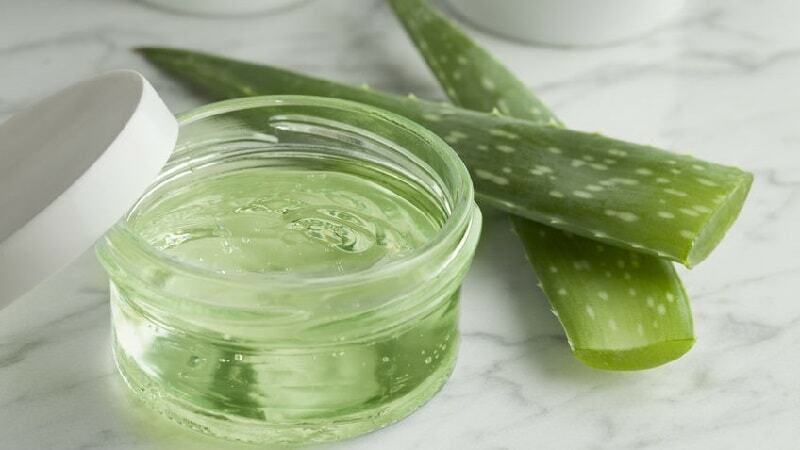 The research aimed at investigating the effects of Aloe Vera Gel on the collagen content and wound healing showed that this gel could increase the collagen production in the granulation tissues. Patanjali Aloe Vera Gel can be applied on the skin as a primer followed by a layer of foundation. This provides a matte look to the skin and makes it softer. Patanjali Aloe Vera Gel can be mixed with the face pack powder such as Patanjali Kanti Lep. The mixture should be applied on the face by forming a thin layer and allowed to stay for at least half an hour. It can be washed off later with plain water. Patients having a dry skin can mix a few drops of vitamin E oil in Patanjali Aloe Vera Gel. The mixture can be applied on the skin or face to keep it hydrated and nourished. Dark circles under the eyes can be reduced by applying Patanjali Aloe Vera Gel on the skin below the eyes. It produces a cooling sensation and reduces dark circles. A small amount of Patanjali Aloe Vera Gel can be mixed with turmeric powder to make a paste. It should be applied on the tanned part of the skin and allowed to stay for 20 minutes. This helps to reduce the tanning and lightens the skin. Blemishes can be controlled by applying a mixture of Patanjali Aloe Vera Gel and a few drops of lemon juice on the affected part. how we should use on the burning area. my daughter who is 3 years old, her cheek got buunt. today is 5th day of that incidence. how i should apply on it and how many times and how much time we should kepp. after applying we need to clean. please help.